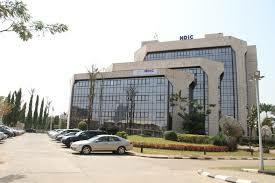 The safety and stability of Nigeria‘s financial system will remain the main focus of members of the newly inaugurated board of the Nigeria Deposit Insurance Corporation (NDIC) as they pledged to formulate policies that would enable them achieve these goals. Ronke Shokefun, chairman of the board made the pledge at the opening ceremony of the maiden retreat for members of the Board in Abuja, said Mohammed Ibrahim, NDIC ‘s head, Communications and Public Affairs, in a statement. She said the retreat would enable members gain full insight into the Corporation’s mandate, its operations, achievements and challenges. She further said the induction programme would also provide the Board with the in-depth Knowledge required for the formulation of policies to ensure enhanced service delivery by the Corporation.